Sharing a platter of homemade cookies at a party can be even more enjoyable than baking them and eating them yourself, especially when the platter presentation and cookies themselves garner compliments from guests. The arrangement draws hungry nibblers to the platter, where they browse through the individual choices. 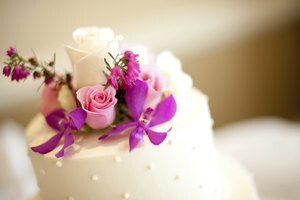 Factors to consider when arranging the cookies include cookie type, size, the occasion for the party, and even the party setting. 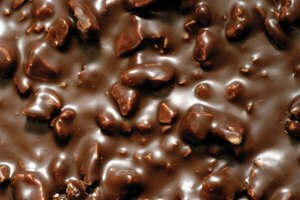 Some cookies can taint the flavor and texture of other cookies and should be served on separate platters or with some separation. 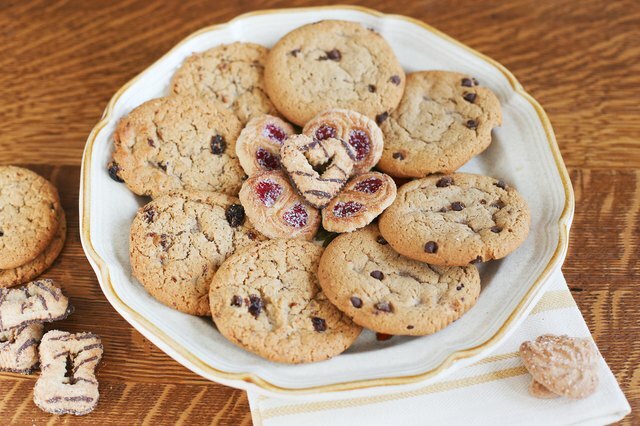 Cookies with strong spices or flavor extracts can affect cookies with more delicate flavors. If you serve mint cookies on a tray with simple sugar cookies, for example, the sugar cookies can take on a minty flavor. 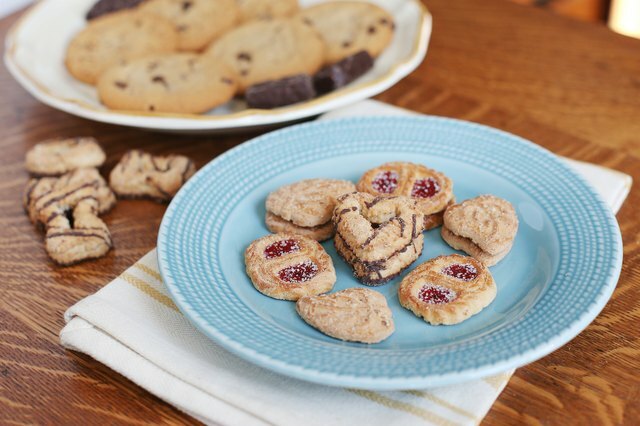 Similarly, moisture from soft cookies can translocate and soften crisp cookies. 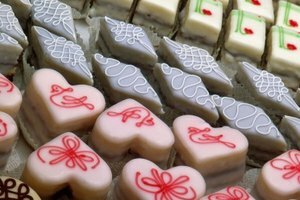 Sugar cookies, butter cookies and shortbread cookies -- all mild flavors -- can go together. Spicy cookies such as gingerbread and snickerdoodles pair well together. 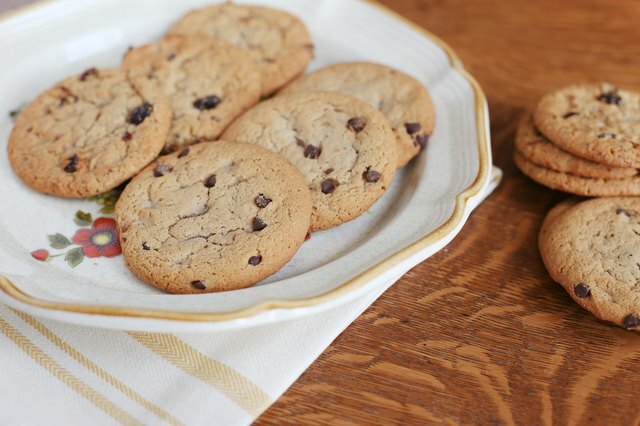 Moist, chewy cookies, such as chocolate chip and oatmeal-based cookies, make good platter companions. Particularly for parties with children present, it might be best to avoid cookies with nuts or arrange them on a separate tray. Simplicity is often overlooked with so many creative ideas shared on social media, but a simple arrangement of cookies can be attractive. For a round platter, divide the circle into wedges for displaying each cookie variety, or arrange them in a spiral pattern or concentric circles. Arrange the cookies in straight rows on a rectangular tray or divide a square tray into quadrants for displaying four types of cookies. A mound of cookies all mixed together can even look appealing if the individual cookies are attractive or share a common feature -- like if all cookies are chocolate or have sprinkles. If you have a limited number of special cookies -- such as elaborate iced sugar cookies -- arrange a bed of simple cookies on a platter, using these as a background for the more special cookies. The cookie arrangement does not need to follow the shape of the cookie platter, which can instead be used as a background for displaying cookies arranged in a playful shape. This option works well for a holiday party, kids' party or a themed party. 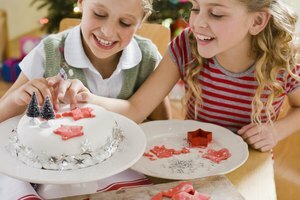 Arrange Christmas tree cookies in the shape of a Christmas tree, make a wreath with round cookies decorated with sparkling colored sugar, or arrange peppermint cookies in the shape of a candy cane. A circle of orange-iced cookies with a green cookie at the top resembles a pumpkin for a Halloween party. 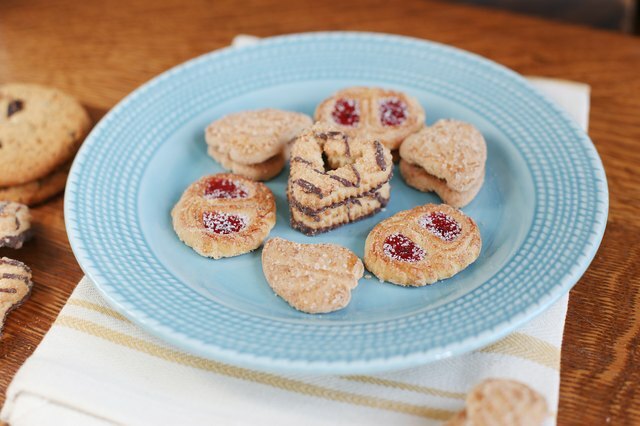 Make a larger heart shape with heart-shaped cookies for a Valentines' party. Arrange red, white and blue star-shaped cookies in a large star shape for any patriotic party. The cookie platter can impact presentation more than the actual cookie arrangement. Browse thrift and antique shops for objects that could be repurposed as a cookie platter with little more than a few sheets of tissue paper used as a liner. 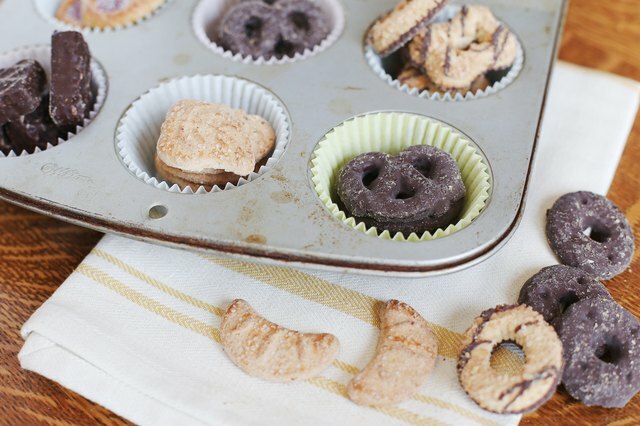 You might even have something around your house that could be given new life as a cookie platter. Arrange cookies in a single, neat row inside a rustic loaf pan for a small party, or display several rows of cookies in an antique wooden crate. Old muffin tins cleaned to remove rust work well for displaying different varieties of small cookies. Use craft paper or cardstock to cover an old gift box, hatbox or even a baking tray to make a platter. Even a flower vase can be used to display cookie pops.